How do you solve a mystery when everyone else is trying to keep you away from the scene of the crime? Chiana is at an age when she thinks she knows more than the adults in her life. Only time will tell if she is right. I’ve read one of her past adventures, and it was fun to catch up with a character that I’d met before. She’s lodged firmly between childhood and early adulthood. Ms. Whyte captures this sometimes turbulent stage in life with ease. The best scenes involve Chiana slowly learning to understand why adults say and do certain things as she slowly begins to grow up. I hope to see Chiana mature as an individual in the future. There are glimmers of personal growth in her personality in this instalment of her adventures, but she has more or less remained the same girl I knew in her previous book. At times the repetitiveness of these old conflicts and story arches distracted me from an otherwise engaging plot. There were also a few plot holes that were never really addressed. Chiana’s investigation includes conversations with people who seem very unlikely to share their findings with a civilian. While it was really interesting to see how she goes about gathering clues, certain scenes would have made more sense had this tale been set in a less privacy-conscious era. It was difficult to determine the most appropriate age range for this story. The plot and dialogue are written for mid to late elementary students, but the inclusion of a few frightening and potentially disturbing scenes made me bump the age recommendation up to 10+ due to some violent content. None of the scenes are particularly graphic, but I do recommend parental discretion for sensitive and younger readers. This book is part of a series, but it can be read easily as a standalone novel. It is a plot-based storyline, and as I mentioned earlier Chiana and her friends don’t seem to change a great deal from one adventure to the next. I have only read some of Chiana’s cases but I had no trouble filling in the pieces from the tales I haven’t started yet. 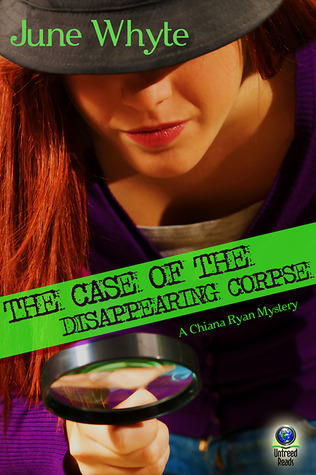 The Case of the Disappearing Corpse is a thrilling murder mystery for middle grade readers. Why not give it a try today?